The Sweet Cake Fairy 13th Birthday sweet cake consists of two single number cakes. 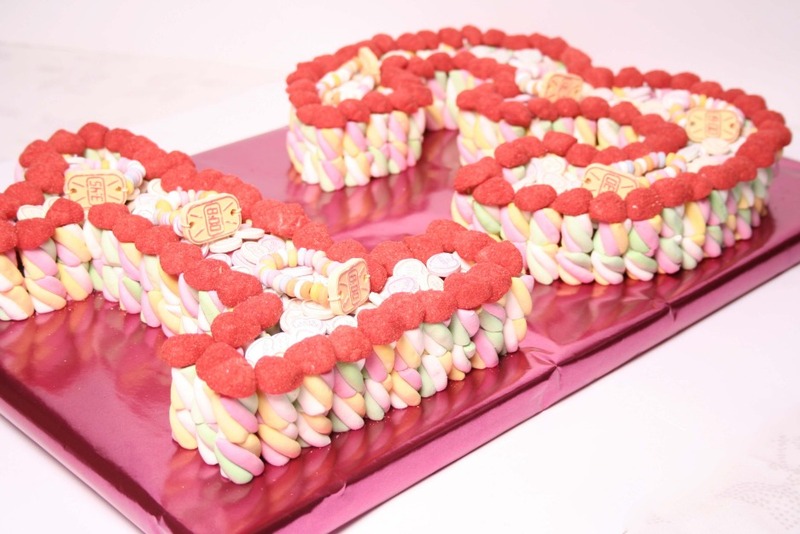 The outer edges of this cake are made up of multi coloured mallow twists topped with strawberry foam then filled with candy bracelets & love heats. Inside your cake you can have: flying saucers, cola bottles, milk gums, fizzy jellies snake jellies, shrimps, or any of your favourite retro sweets. Purchase a double number birthday age cake made of sweets and pay by PayPal.